The government will never allow to commemorate LTTE leaders in Wellamullivaikkal or anywhere in the country as it is a terrorist organisation, Defence State Minister Ruwan Wijewardene said. He said if some one attempts to do so, the government would take legal action against them. Wijewardene made these observations at a press conference at the Information Department Auditorium yesterday in response to a question by a journalist who said that a politician had told they would commemorate LTTE leaders at Wellamullivaikkal. He added the government would not allow anything that would harm national security. 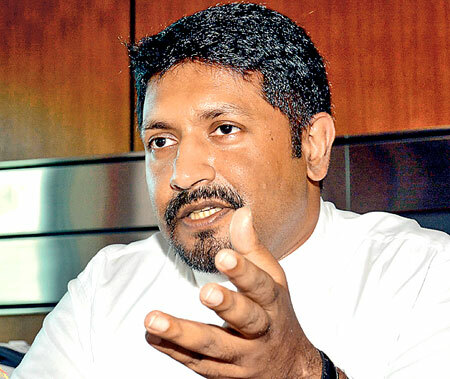 In response to another question on a statement by a female politician in North that a monument will be set up to commemorate LTTE leaders, State Minister Wijewardene said nothing of this nature would be allowed. “They can commemorate civilians killed during the war but they will not be allowed to commemorate LTTE leaders,” he said. “However, such a request has not been made so far to the Defence Ministry,” he said. “The statements may be made to gain political mileage from various groups and to obtain funds from foreign countries”. He added that there are extremist separatist groups in the country but the government’s view was that the people should live peacefully together in the country. Responding to another question on a statement of Federal system for Sri Lanka, the Defence State Minister said that there is no room for separatism under this government. He added that the devolution of powers could be considered without affecting the unitary status and the unity of the country.